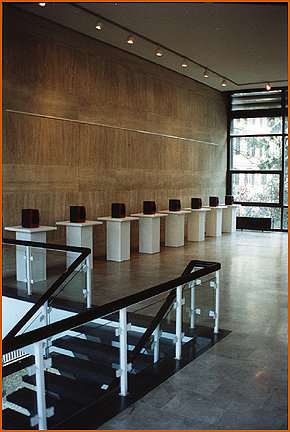 SonicLines No.1 is played over a two-dimensional loudspeaker configuration in the shape of an eight-membered line along the marble wall in the hall of the Rome Goethe Institute. 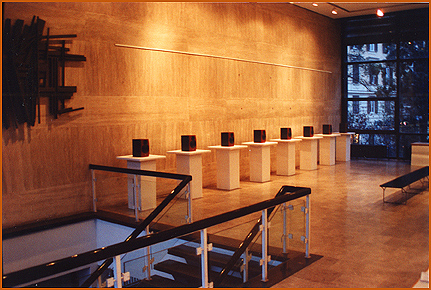 The arrangement of the loudspeakers was inspired by the specific dimensions of the architectonic space. 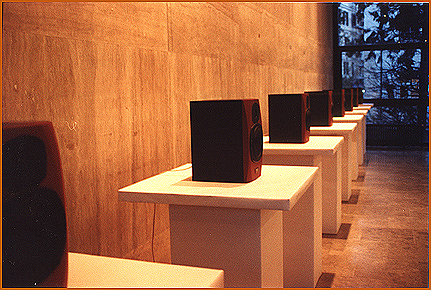 Intensively perceivable "line sounds" (represented by rolling ball motives) are counterpointed by water motives (ocean waves) which are moved fluctuatingly in themselves and represent the liquid, nonconsistent state of this spatial sound composition.